The first pygmy seahorse was discovered by accident in 1969. 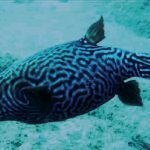 A red and purple gorgonian from the genus Muricella had been brought to New Caledonia’s Aquarium des Lagons, and upon its branches was found a mated pair of specimens, Hippocampus bargibanti, perfectly camouflaged against the coral. It would be another three decades until the next of these miniature syngnathids was described, the little-known H. colemani from the seagrass beds of Lord Howe Island. Shortly after, a second gorgonian-associated species, H. denise, was described from locations across the West Pacific. 2008 saw the introduction of two of the smallest species, both discovered in habitats rich in algae and hydroids, H. pontohi and H. satomiae, the latter of these measuring in at under 14 millimeters! 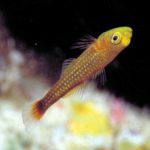 And the most recent addition was in 2009 with H. waleananus, a nocturnal specialist on neptheid soft corals which has thus far only been reported from Tomini Bay in Sulawesi. 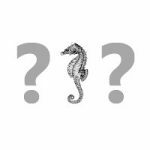 And today we get to welcome a seventh species into the fold, Hippocampus japapigu, the Japanese Pygmy Seahorse, or, as it is curiously known in its native lands, the Japan Pig (日本のピグミータツノオトシゴ). While it’s only just now been given its formal scientific name, this seahorse has been photographed by local divers as far back as 1997. As with H. satomiae and H. pontohi, this is an especially tiny species (<17mm) and associated more with algae and hydroids. Records exist from across much of subtropical Japan, from the Ogasawara Islands to Kashiwajima. 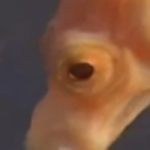 This is the only member of the pygmy seahorse clade that occurs in the main islands of Japan, but, aside from its unique biogeography, H. japapigu can be recognized by the subtle reticulated patterning across the body and the presence of 1) “triangular bony mounds that serve as a structural basis for the elevated dorsal ridge along the trunk” 2) “a single pair of large truncate and connected spines projecting dorsolaterally of the trunk that form the bilateral wing-like protrusions behind the head”. Genetic data points to this Japanese endemic having diverged from its closest known relative, H. pontohi, around 8 million years ago, but there’s still much to be learned about the evolutionary history of this group. It’s important to note that not all small seahorses belong to this one lineage, as the process of miniaturization appears to have taken place on multiple occasions within this highly speciose genus (e.g. the mesophotic South Australian H. minotaur and H. paradoxus, the Caribbean H. zosterae). 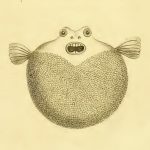 The true pygmies are special in that the males brood their young in a pouch located on the main body (the “trunk”), as opposed to the tail pouch found in other groups, and the usual paired gill openings have been fused into a single exit. For more on this fascinating group, visit the highly informative website of Dr. Richard Smith, an authority on these itty bitty Hippocampus who also happens to be a world-class photographer. Academy researchers are among the first to study tiny, fascinating pygmy seahorses that live exclusively on coral in the Philippines. SUBSCRIBE: http://bit.ly/SubscribeToCAS About the Academy: The California Academy of Sciences is the only place on the planet with an aquarium, a planetarium, a natural history museum, and a 4-story rainforest all under one roof. Gomon MF, Kuiter RH (2009) Two new pygmy seahorses (Teleostei: Syngnathidae: Hippocampus) from the Indo-West Pacific. Aqua 15(1): 37–44. 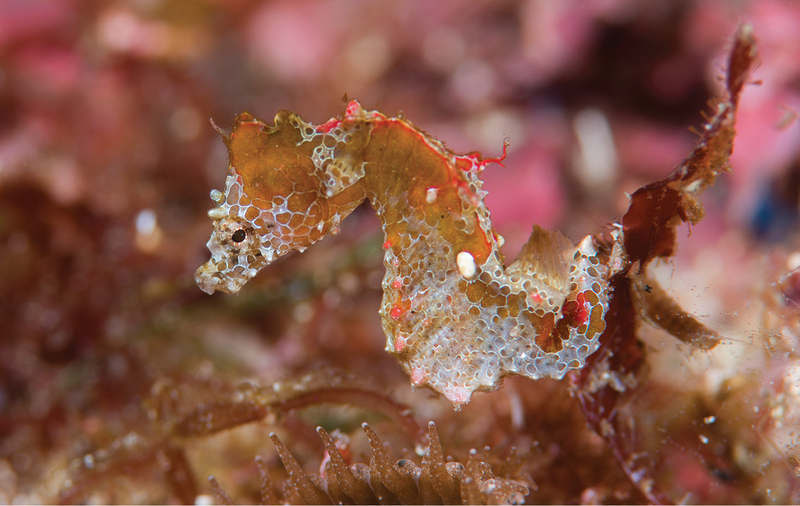 Lourie SA, Randall JE (2003) A new pygmy seahorse, Hippocampus denise (Teleostei: Syngnathidae) from the Indo-Pacific. Zoological Studies 42: 284–291. Lourie SA, Kuiter RH (2008) Three new pygmy seahorse species from Indonesia (Teleostei: Syngnathidae: Hippocampus). Zootaxa 1963: 54–68.